Whether how well-planned or chic decor you have, a room isn’t complete without seats. 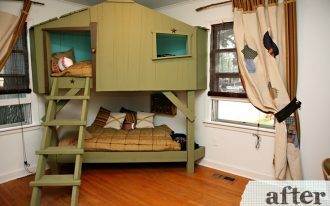 Each room has different need of seating area. 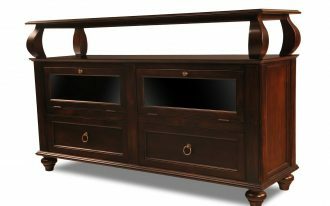 Dining and living room traditionally place the seats as the heart of space in which they should perform stylish and comfortable seating, but the other spaces like hallway, mudroom, and kitchen expose more on finishing touch & chair’s layout. The seats with such crucial role can be improved in style & comfort by adding a few meters of upholstery. Take a note to consider any details of colors, patterns/ prints, and texture of fabric you use to cover up your upholstered chairs/ sofas. With this simple idea, your ordinary sofas/ chairs will instantly transform into the works of art. 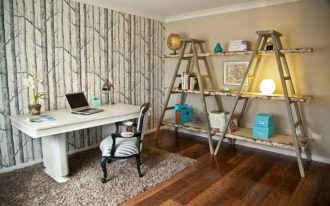 Today, I wanna share ten great ideas of upholstered chairs and sofas that hopefully will take you in a dozen of inspiration. 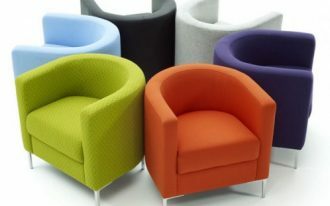 Just take a look the following chair designs and be ready to get inspired. 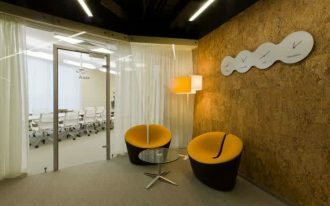 Small and soft patterns that can bring a huge impact to the space. This is just a brief description that you can use such trick to create the most stunning one in space. 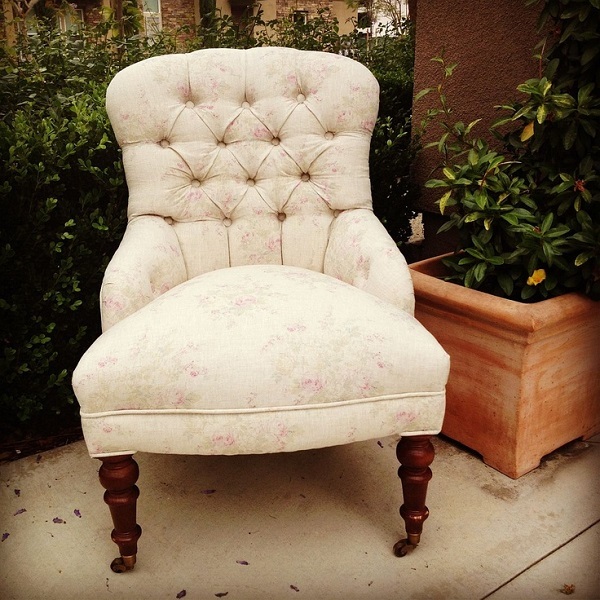 Like this simple upholstered chair, it just displays a large number of shabby pink roses that fully fill the whole muted creme fabric cover. 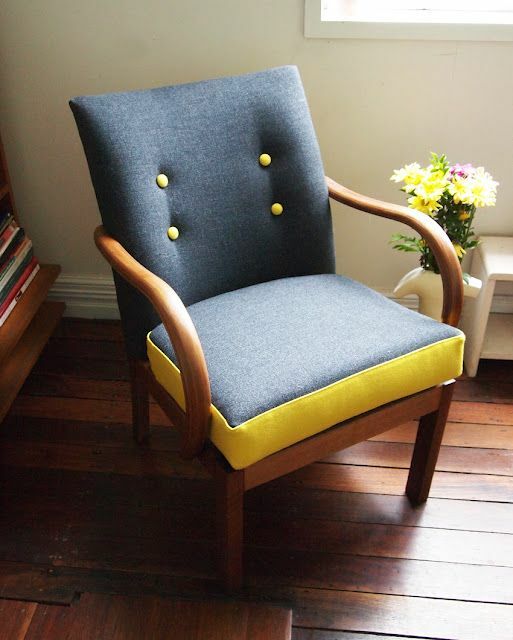 The tufted buttons spreading out on the back-rest even add gorgeous touch in this arm-less chair. 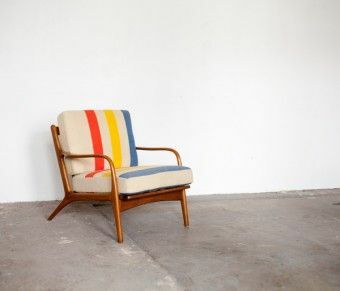 These newly mid-century modern chairs look so fabulous with vintage design. To keep stylish and overlooked, the chair is covered with poppy colored fabric accentuated with stripes. 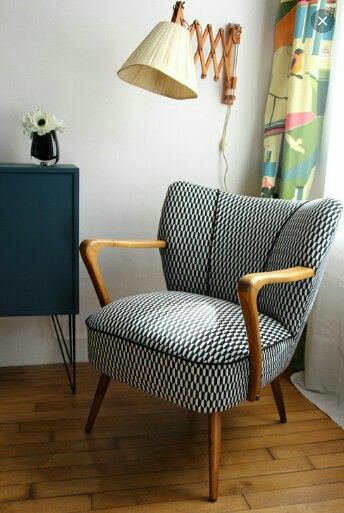 Another mid century modern chair with monochrome charm. I like the wooden structure purposely exposed. Wood element on chair directly adds natural warmth as well as earthy color scheme. Look similar to previous one, but this is much more fun on color choice. 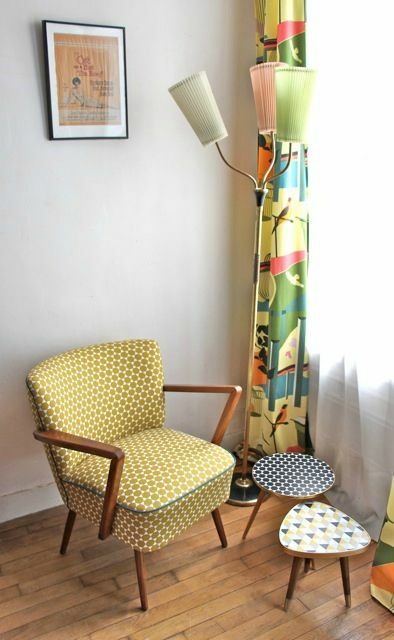 Mustard polka dots make this corner stunning and visually comfortable. Two side tables with multicolored prints contribute the creation of textural palette use in this space. It’s cool vintage seat. 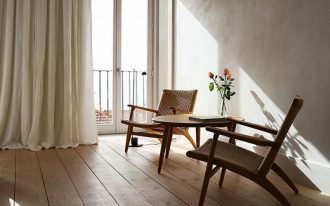 The overall design previews heavy wood structure, performing sturdy facade that exactly feels so comfortable to sit down. 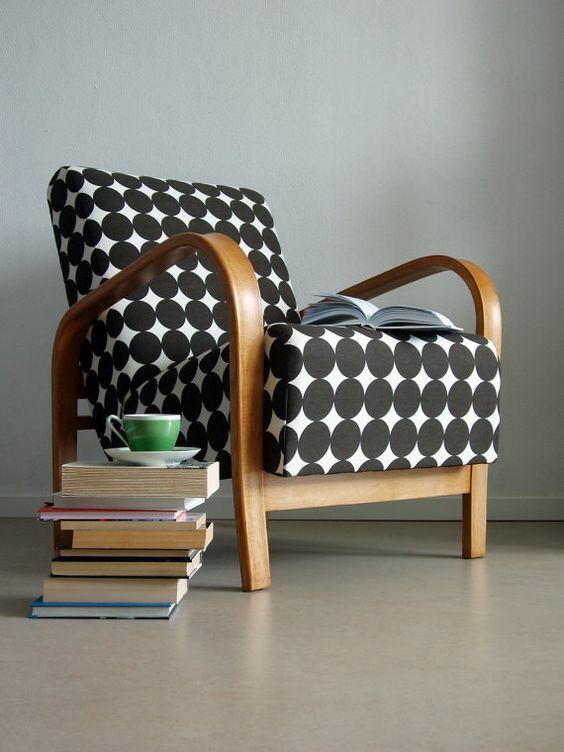 Bold and large sized dots here make the chair look trendy. 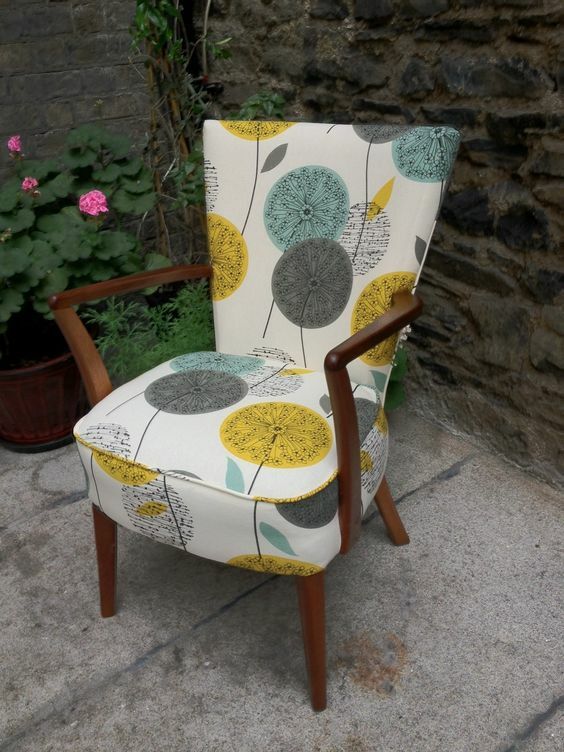 A mid century modern chair with floral-fabric upholstery. Just give a bit natural feel to your chair for a room freshness. Darker scheme is okay for newly vintage chair. Make it a visual attractiveness by highlighting it with a pop of color addition like this yellow. The combined color schemes, indeed, contrast each other but still cohesively matched. Feel so comfy. The fluffy upholstery supports all pieces of pillow-like futons, and they aren’t only visually attractive, but also beautiful in minimal way. Highly modern with clean line and minimalist. 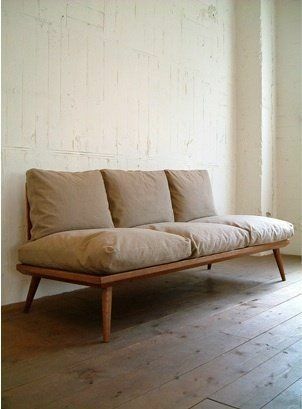 The designer also wisely uses earthy neutral color schemes for natural aesthetic well-recognized on upholstery. And the floor lamp really enchants me. 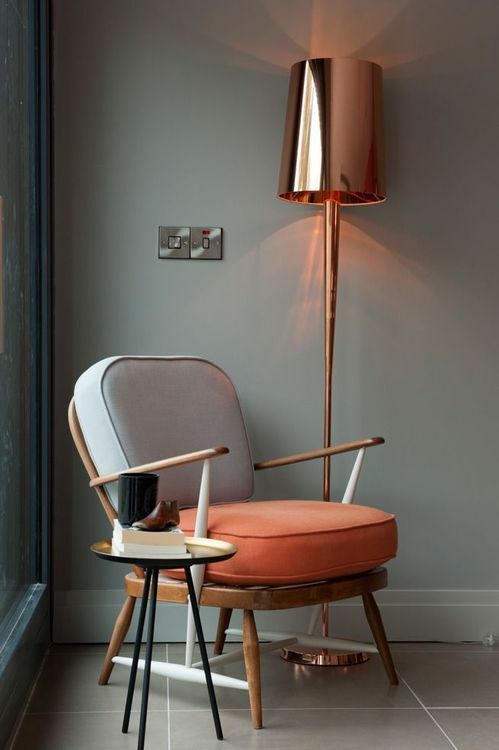 Its copper lampshade extremely adds huge glam, giving impact of copper glowing shadow on muted gray walls. 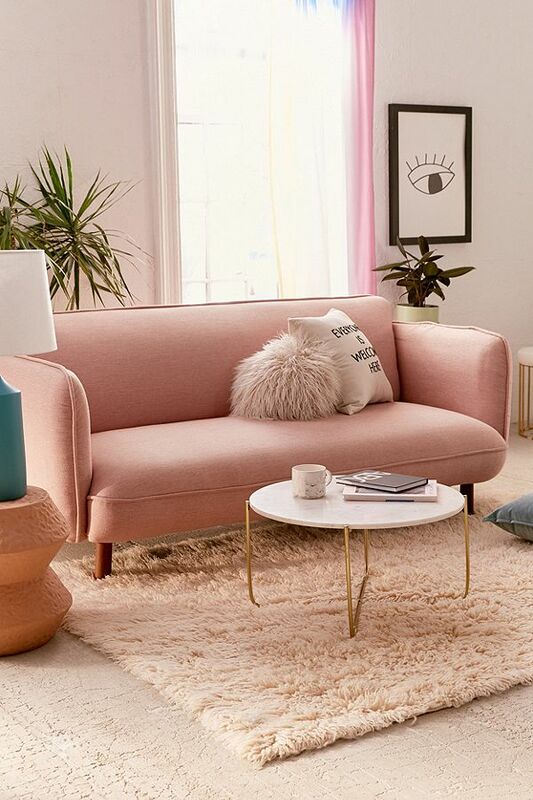 Soft but cushy sofa in dainty pink. 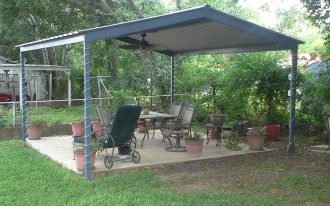 Low-seat feature offers much of comfortable, and physically it’s so stylish. 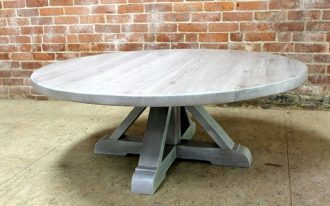 The used fabric has textured surface, while the legs support with crafted solid wood (in cylindrical shape).